18-inch Dome Radar with MotionScope™ Technology 18-inch, 40 W solid-state, dome radar Motion..
24-inch Dome Radar with MotionScope™ Technology 24-inch, 40 W solid-state, dome radar Motion..
ntroducing the next generation of marine radar: new CHIRP Radar, featuring CHIRP Pulse Compression. 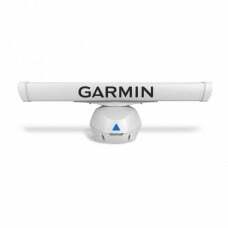 ..
See more targets where it matters most with 100% clarity and enjoy the benefits of zero radiation h..
See more targets where it matters most with 100% clarity and enjoy the benefits of zero radiation ..
Quantum Q24C 18" Radar T70243 10M POWER & DATA CABLES Inc.
Raymarine Quantum Q24C Radome 18" (Wired & WiFi) with 10M Power and RayNet Data Cable T70243 ..
RD418HD 4KW 18" Digital Radome with 10M RayNet Cable .. High-powered Open-array Radar4’, 50 W solid-state open-array radar with pedestalMotionScope™ technol..
Open-array Radar with Industry-leading 120 W Solid-state Output Power4’, 120 W solid-state open-arra..
Open-array Radar with Industry-leading 120 W Solid-state Output Power6’, 120 W solid-state open-arra.. High-powered Open-array Radar6’, 50 W solid-state open-array radar with pedestalMotionScope™ technol.. 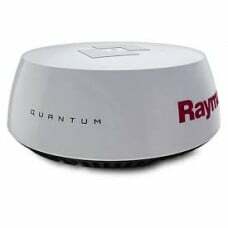 Introducing Raymarine Quantum 2 Radar with Doppler collision avoidance technology. The Quantum 2 nex.. 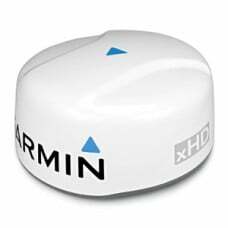 Allows radar connection via Wi-Fi, or optional Data Cable. Excellent short-range detection and enh.. Expand your Raymarine navigation system with Raymarine’s unmatched digital radar technology. The 4 k..
4 kW high-definition 18” dome radar Pairs ease of use with advanced open-array features 48 or 2..
12KW Pedestal - HD Digital (Includes VCM) - Discontinued - Limited Quantities ..
12KW Pedestal - Super HD Digital (Includes VCM) ..
48" Open Array - HD Digital ..
48" Open Array - Super HD Digital ..
4KW Pedestal - HD Digital (Includes VCM100) ..